Гошуляк І. Тернистий шлях до соборності (від ідеї до Акту Злуки). – К.: ІПіЕНД імені І.Ф.Кураса НАН України, 2009. – 467 с. In the monograph, the complex research of a problem in the reunification of the Ukrainian lands from the origin to the Reunion Act on January 22nd, 1919 is carried out. 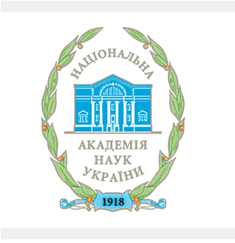 Based on the archival materials, newspaper publications of that time, a wide range of historiographical sources, the activity of political parties, public organisations, the public authorities, all Ukrainian patriots, directed at the consolidation and unification of the Ukrainian lands in the single state during the periods of Central Rada, Getmanat and Directories is analysed. In particular, the reunification process connected with the unification of two Ukrainian republics – UNR and ZUNR in the Reunion Ukrainian National Republic is retraced in details. The book is intended for students, teachers and scientists, all who is interested in the reunification problem Ukraine as a whole and struggle experience for its realisation during an epoch of the Ukrainian Revolution 1917 – 1920.